Superman. Spider-man. Moon Knight. You. What do these four people have in common? You’re all superheroes! While the first three names are superheroes of the crime fighting variety, your battle is different. You don’t take to the streets. You take to the Internet, spreading your message far and wide by creating the type of compelling content that people can’t help but pay attention to. The number one sign that you’re a content marketing superhero isn’t just that you’re aware of the revolution, but that you’re front and center. You’re always in tune, making an effort to learn what’s new and keep up on what’s next in content marketing. You always make sure that your content is aimed firmly in the right direction. Taking great care to develop the right customer journeys, personas and keyword maps at the right times. Another clear sign that you’re a content marketing superhero isn’t just that your content has snap, crackle and pop – it’s that you produce the type of pieces that turn believers into buyers in an instant. People don’t read your content because they want to. They read it because they have to. You always know about the latest tools and technology and you’re constantly using them to optimize, track performance, and more. Planning, creation, optimization, distribution, and performance, You’ve got the right tool for each one in your belt and the skills to make it all look easy while you do it. You know what type of content it takes to double conversion rates. You wake up and discuss things like AB and multi-variant tests at family breakfast. You wouldn’t dare create content without first trying out a few different versions to see which one gets you the impact you’re going for. You know all the best distribution channels and how to put them to work for you. You’re a whiz at catching customers orbiting at high speeds, no matter where they are or the danger they face. You don’t just publish – you publish quality content consistently. Knowing how to appeal to readers and search engines day after day, on your quest to rid the world of bad content. Your share your content strategically, keeping an eye on what’s trending and worthy of amplification. You know how to amplify to attract readers and buyers in droves. Another clear sign that you’re a content marketing superhero is that you’re fluent in at least two languages: English and budgets. You know exactly what it takes to secure the content budgets you want, allowing you to deliver the results that everyone demands at the same time. Finally, one of the most important signs that you’re a content marketing superhero is that you know blog posts, video scripts, or a press release is more than just words. They’re all works of art, brought to you by creative talent within tight deadlines. You value the creative talent that makes content marketing such a powerful machine. 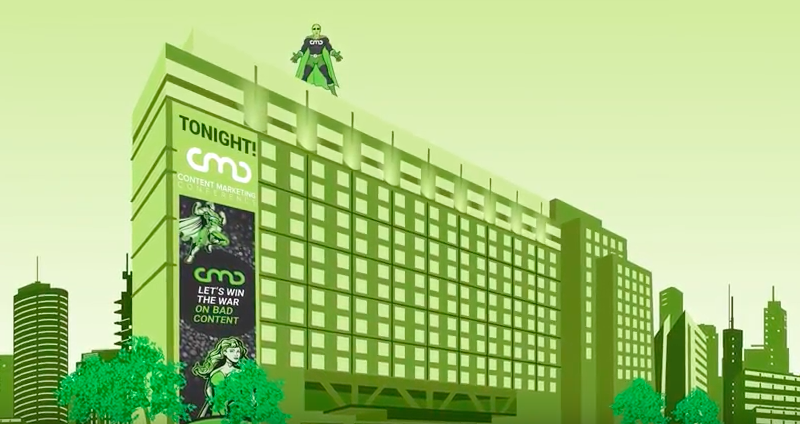 If you’re interested in furthering your skills as a content marketing superhero, be sure to join us for Content Marketing Conference 2017 in Boston, taking place April 11 – 13. Don’t just expand your marketing super powers – fortify them. Let’s win the war on bad content together! Hello you are showing some wonderful signs to being a content marketer. I just loved this stuffs. Beautiful article. You just changed my mind and focus.